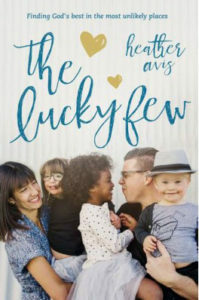 The Boggs Center on Developmental Disabilities, part of the Rutgers Robert Wood Johnson Medical School, has published a valuable resource for families of a child or other relative with a disability has published a helpful reference, Providing Respite: Supporting People and Families across the Lifespan, available as a fee PDF download. One of the co-sponsors of the booklet, the Family Resource Network, which includes Caregivers of New Jersey, a Service Coordinator. As a leader in providing a wide range of services for people with disabilities in the state, Advancing Opportunities is ready to assist! It Is Important to Reflect on Our Work to Continue Serving Our Individuals with Disabilities. How did I help this individual? What did I do to enrich his life? How did I acknowledge her accomplishments? How did I ensure his voice was heard and that he had the opportunity to make his own decisions? In addition to asking these questions of ourselves to serve others, it is important to document the answers on reports on the progress toward their ISP goals! This last consideration can be critical for an agency to continue to receive funds… to keep on serving their consumers with disabilities. Disability advocates and self-advocates do not allow disability to define who they are… or aren’t. The same idea applies to employment. In fact, October is National Disability Employment Awareness Month. 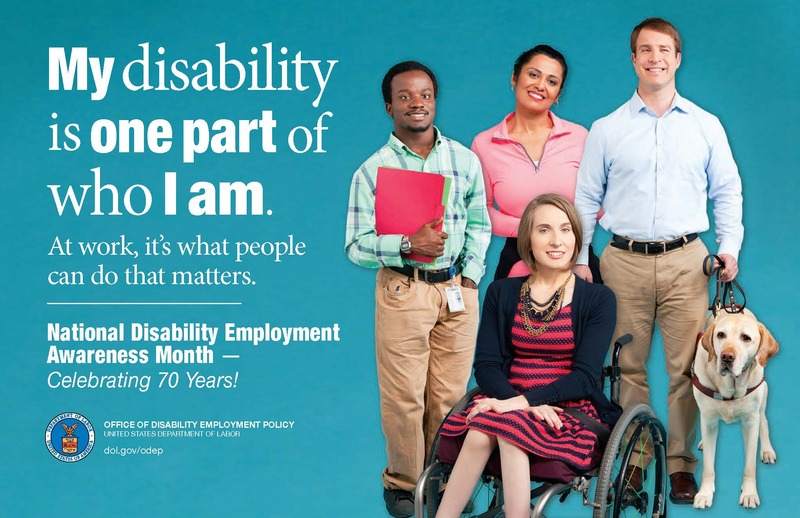 For 2015, the theme is “My Disability Is One Part of Who I Am.” The idea goes back some 70 years, to October 1945, when President Harry S Truman declared the National Employ the Physically Handicapped Week. 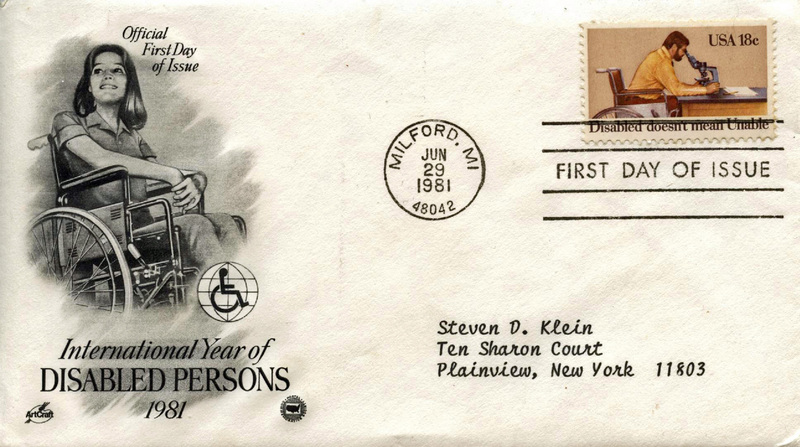 In recognizing people with all disabilities, the word “physically” was removed in 1962. Then, in 1988, Congress literally expanded the name to its current form. 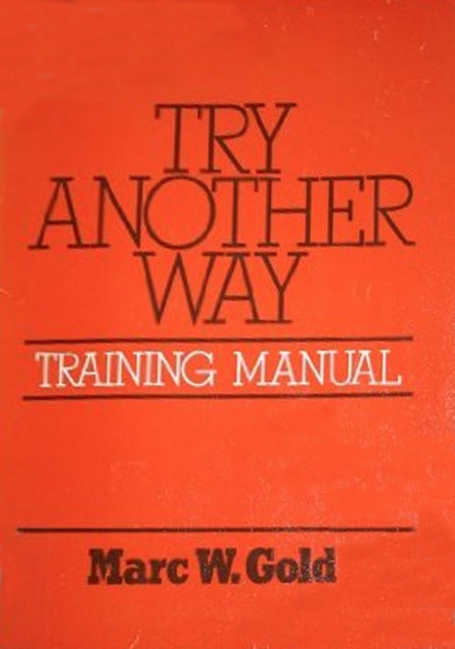 Also noteworthy is the 1978 book by special-education teacher Marc Gold, Try Another Way, to teach adults with intellectual disabilities to perform complex tasks, becoming the basis of supported employment. This book, written by special-education teacher Marc Gold, would form the foundation of supported employment for people with disabilities. One could also go back to the turn of the previous century and revisit the efforts of Elizabeth Farrell, who at the Henry Street School in New York City used manual work as one way to provide a meaningful experience for her students with severe special needs. This year, 2015, we celebrated the 25th anniversary of the Americans with Disabilities Act (ADA). This landmark legislation has done much to help ensure that people with disabilities have access to meaningful work. There has been a marked trend in the increase of employment agencies and business leadership groups, most notably the U.S. Business Leadership Network, which specialize in helping job seekers with a disability find a job and for companies to find these candidates. An important step was in 1983, with the founding of the Job Accommodation Network, an initiative that offers guidance and information to work toward solutions to benefit both parties on issues of hiring and accommodation. 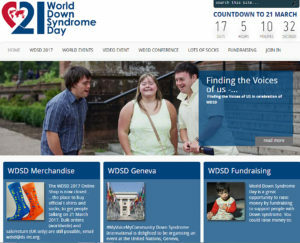 A notable government effort, the AbilityOne Program, established in 2006, helps people with severe disabilities by requiring the federal government to purchase specific products and services from companies that hire these individuals. The What Can You Do? Campaign for disability employment is “a collaborative effort to promote positive employment outcomes for people with disabilities by encouraging employers and others to recognize the value and talent they bring to the workplace” by offering a wide variety of resources. Even more recent is the February 2015 the White House publication Recruiting, Hiring, Retaining and Promoting People with Disabilities. Some organizations have specific groups in mind. For young adults, there is the National Collaborative on Workforce and Disability, to ensure that transition age youth are provided full access to high-quality services in integrated settings to gain education, employment, and access to independent living. With the right supports, they can perform just as well as their non-disabled peers. Most employees with Down syndrome are more reliable and less likely to quit than their non-disabled peers. Many households include someone with a disability; they are likely to want to support inclusive businesses. Hiring people with a disability promotes good will and a positive public image. 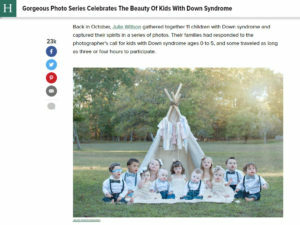 With their positive outlook and sense of humor, people with Down syndrome often make the workplace a nice place to be a part of. $1,961: The average monthly earnings of people with any kind of disability. $2,724: The average monthly earnings of people with no disability. 17.9%: The poverty rate for people with a non-severe disability. 14.3%: Poverty rate for people with no disability. 69.1%: Percentage of people with no disability in the labor force. In a recent report, just as young adults with autism feel disconnected in school, one in three feel the same in the work place afterward. 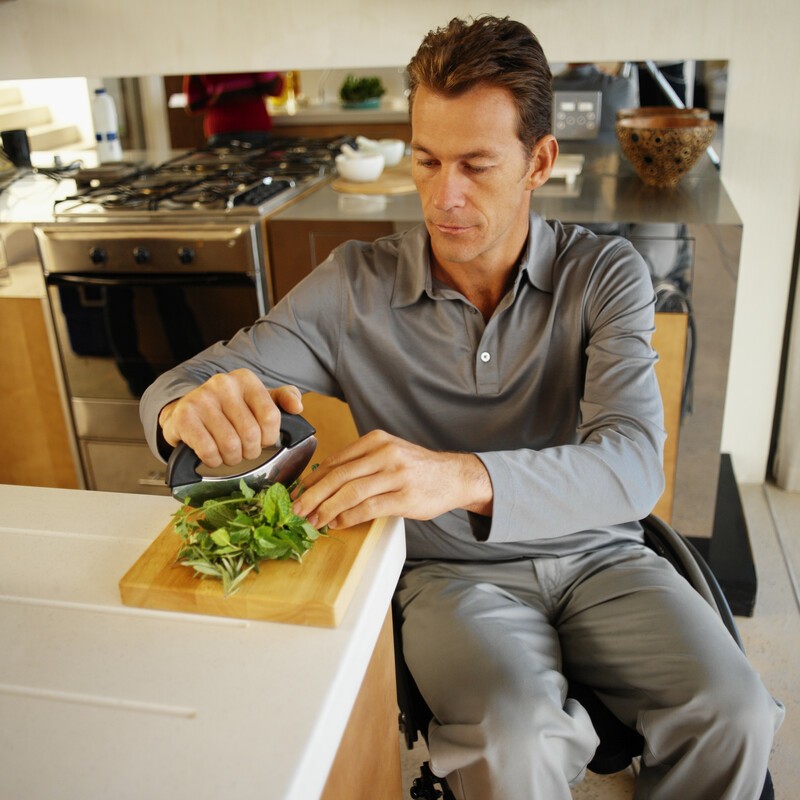 While significant challenges exist, one thing we can learn from many people with disabilities is that with hard work, challenges can be overcome. Almost as enjoyable as eating a satisfying meal is preparing one. It’s not only fun, it can also be an educational activity. What’s more, involving individuals in choosing and preparing the very food they eat is important for their physical health and emotional well-being. Cooking is not only fun, it can also be an educational activity. What’s more, involving individuals in choosing and preparing the very food they eat is important for their physical health and emotional well-being. Allowing individuals to select what they want to eat will become an important part of their lives. However, they will need guidance. Nutrition is an extremely important issue: numerous studies and surveys show that people with disabilities are much more likely to be obese and their nondisabled counterparts. As in special education, it is critical to consider each consumer’s individual abilities. For example, a consumer with significant cognitive disabilities may need to select among two or three choices; picture prompts can be very effective and helpful. Individuals with higher-functioning cognitive skills can apply lessons on nutrition, such as planning a balanced meal, using Choose My Plate, formerly known as the Food Pyramid. The next step will be to create grocery lists together. 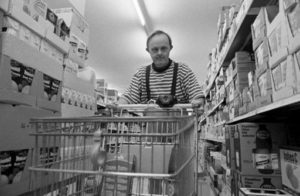 Time spent at the grocery store can be a satisfying scavenger hunt, with an element of logic thrown in (e.g., “In which department do we find the butter?”). Previous conversations on nutrition can be reinforced by reading product labels. Of course, in the end (literally and figuratively), any shopping experience affords practice with the mathematics of money. Food Preparation. From reviewing recipes to cutting vegetables to actual cooking (e.g., baking, frying, and boiling), individuals learn the ABCs of preparing a meal. Math and Measurement. Mathematical concepts are taught and absorbed in real-life contexts. In addition to handling money at the store, individuals will learn about volume measurement (as well as what tools are best, for example, measuring spoon or measuring cup), and time. Food Handling, Safety, and Hygiene. Instruction in food preparation should include other important skills: safety (for example, how to handle knives and hot objects) and hygiene, both personal (e.g., proper hand washing) and food-handling protocols (e.g., using separate cutting boards for vegetables and meat to avoiding bacterial cross-contamination and washing pots and utensils properly). Working Together. Individuals learn much and derive considerable satisfaction from working together and benefiting from tangible team accomplishments. Give the individuals as much independence as they can handle. Visual or verbal prompts may be necessary; the type and level of the prompt will depend on each person’s abilities and challenges. Pay attention to sequencing. Giving directions that can be followed easily is the most challenging aspect of teaching people with special needs. 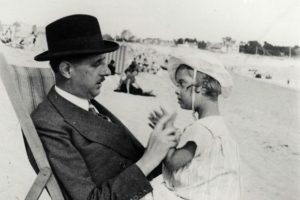 “Lessons” must accommodate the cognitive and ability of the individual, his/her interests, and talents. In most cases, it is best to present steps one at a time. Make it multisensory—sight, touch, smell and, of course, taste. Through questioning and the sense of taste, the consumer will determine, for example, how much seasoning to use or whether the mix of ingredients is a good one. The individual gains independence not only learning a valuable skill, but also by being involved in making decisions. Finally, show that making mistakes is OK. We all make mistakes, and that’s a good practical life lesson, too, especially for younger individuals. Furthermore, the unintended result can be a tasty surprise! Cooking and associated skills are taught and used in a real-life context, which makes them much easier to learn and retain. In addition, much of what people learn in cooking they can apply to other situations. The individuals acquire a great deal of personal satisfaction through independence.